Column, Trick Season, WTF Is This? It is remarkable to me that a food as milquetoast as candy corn is polarizing as the Pumpkin Spice Latte. Candy corn is garbage trash food! 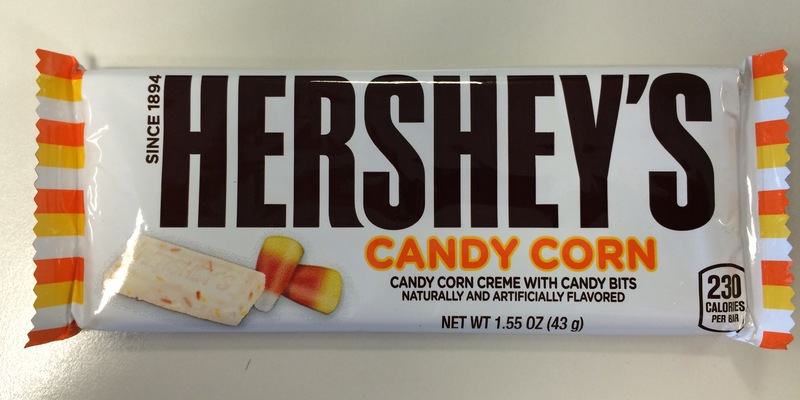 Candy corn is delicious and hating on candy corn is the new candy corn! Why is it that people hate candy corn? Let me explain! If not for candy corn, I would not know what an actual corn kernel looked like, so I will always be grateful for the lesson. 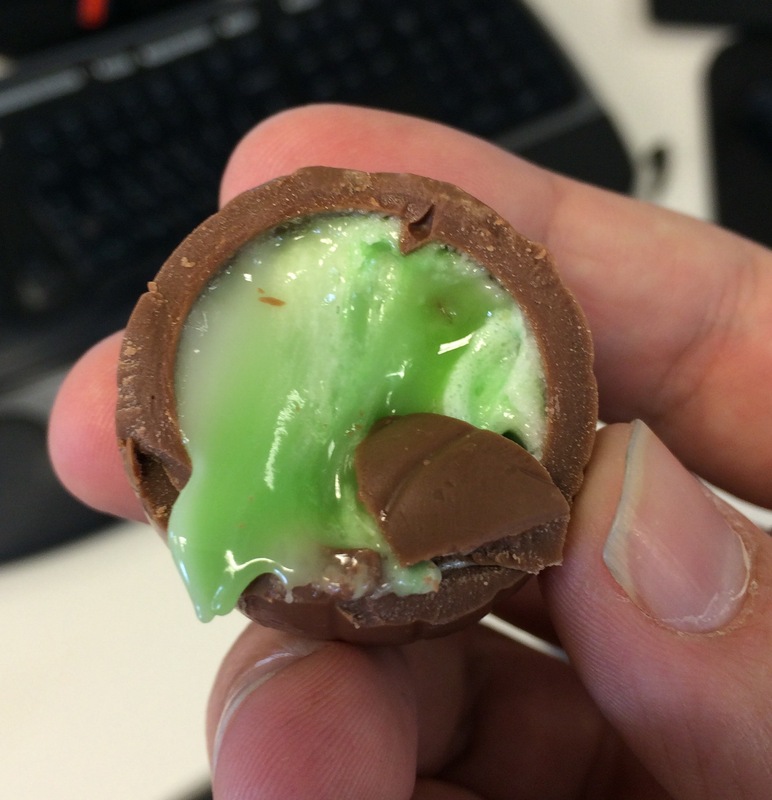 This is a Cadbury Creme Egg with a green “yolk” instead of a … well … yolk-colored one. They taste exactly the same [Ed. 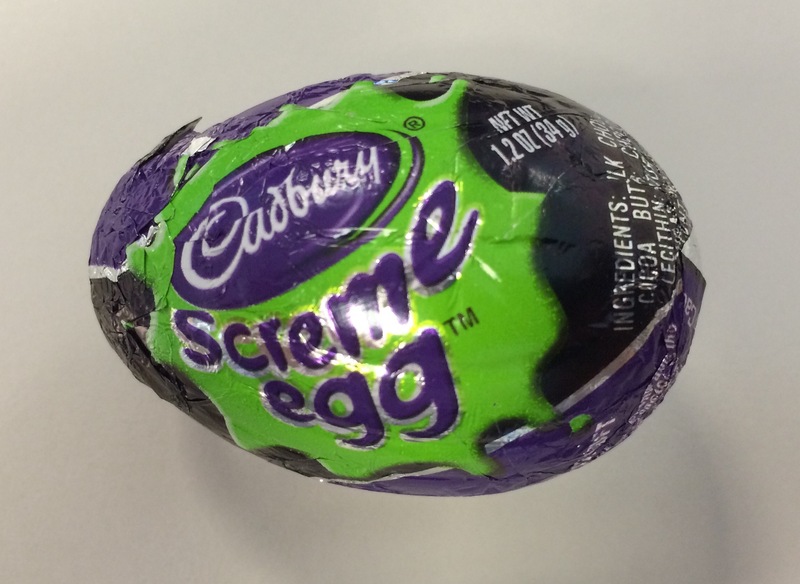 note: A boon for those of you who like Cadbury Creme Eggs more than I do]. Really, though, Sky Bar stands to make a LOT of money: Their customer base is always growing. I chuckled, very satisfied with my little joke. 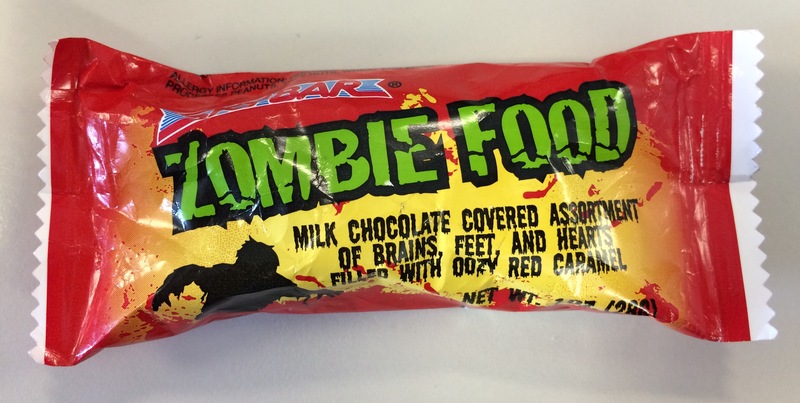 Then I read the description that it was actually chocolate-covered brains and felt simultaneously validated and bummed out that a company would actually make a candy bar out of a dad joke. 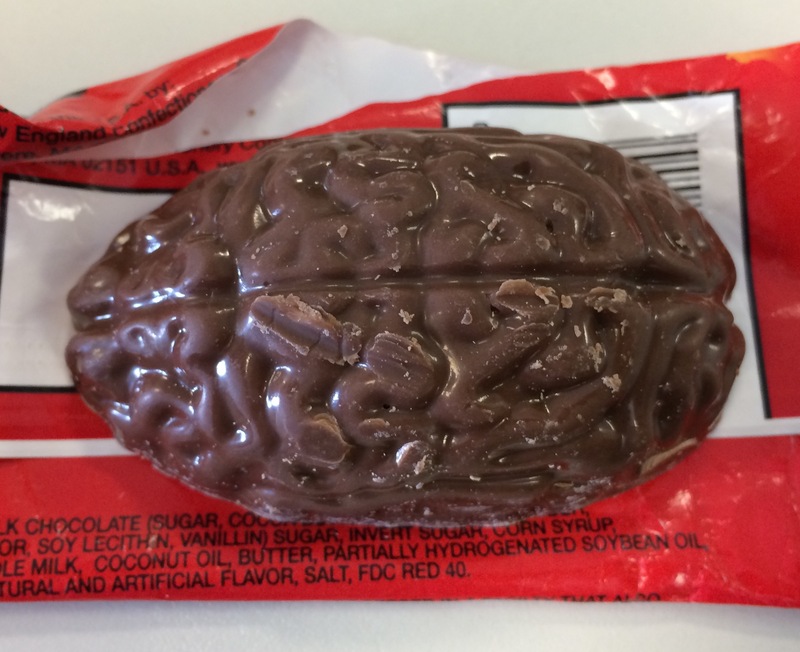 The good news is that it wasn’t actually brains that were covered in chocolate. The bad news is that it was just corn syrup with a metric ton of red dye. It was a bad candy bar. Happy Halloween, diabetic zombies. Mornin, frands. 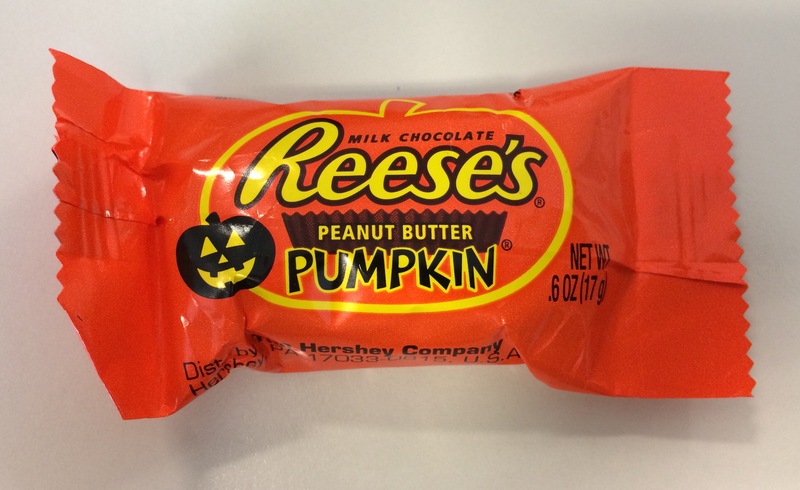 We’re approaching the High Holiday of candy: Halloween. If you want to write something about Halloween, I will publish it in this space. Sure, there has to be mention of a candy bar somewhere in there, but that’s the only requirement. 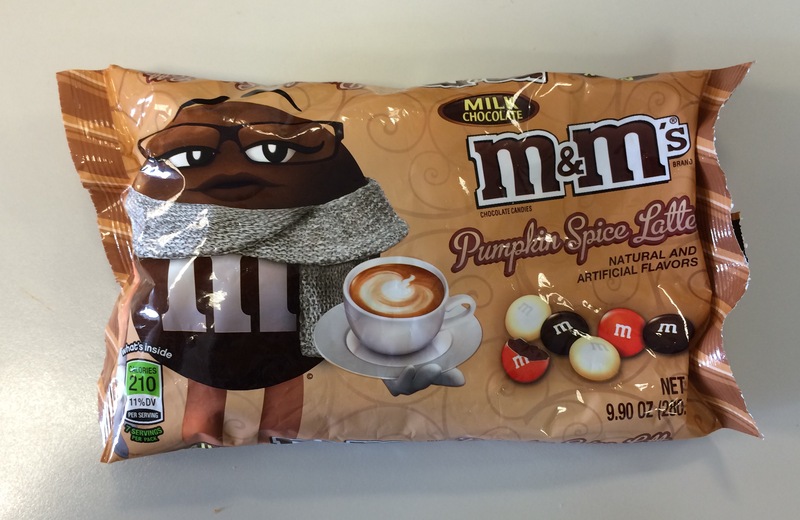 And, like, really you could just tack “York Peppermint Patty” to the end of an essay on your favorite autumn leaf and I’d run it, so that’s not even much of a requirement. I’ve been fortunate to have one spectacular Guest Bar this year, but I’d love to have more. Everyone outside of Jehovah’s Witnesses has a Halloween story to share, and even they could probably write something pretty awesome about what it’s like being the kid in class without a costume. 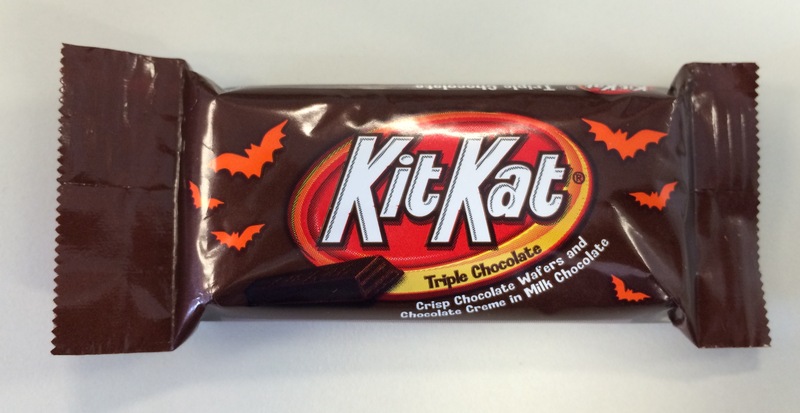 I suppose this is a candy bar blogger’s version of trick or treat. Which means I’ll leave you with this: It’s more fun to put out a bowl or give out toothbrushes than to have your lights off and ignore the doorbell. I was kinda under the impression that with candy, everyone was in on the understanding that it wasn’t particularly natural. Yes, there are certainly plants and stuff that produce the sugar cane and the peanuts and the cocoa beans, but, like, you don’t see Snickers trees or Skittles bushes (though their marketing sometimes would suggest otherwise). Candy is very much processed, the final byproduct of thousands of years of discovery, innovation and throwing lord-knows-what into sugarstuffs to peddle to the masses. A crowning achievement of our species. Well, as it turns out, there are a few folks out there who have a different impression. 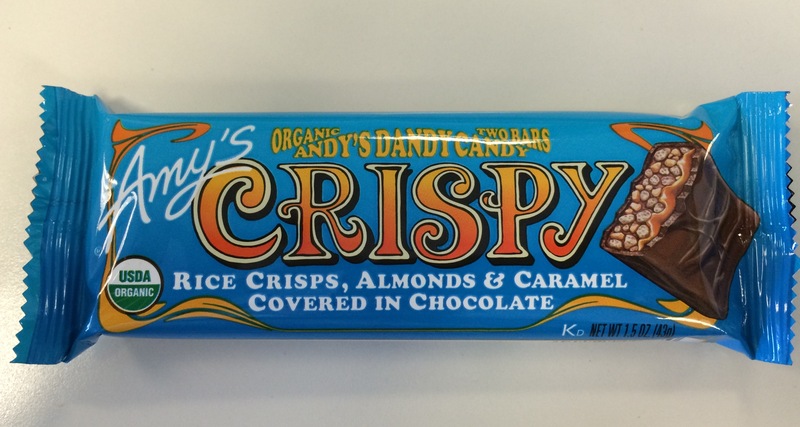 I ran into some all-natural candy bars from Cleo’s and Amy’s [Ed. note: The latter of which, I will note, is a brand that makes the nicest frozen burritos in the game.] in the quinoa section of the grocery store. Intrepid candy bar writer that I am, I scooped them right up and gave them a shot. Full disclosure: I ate this one first because I was intrigued by the word “whipped”. 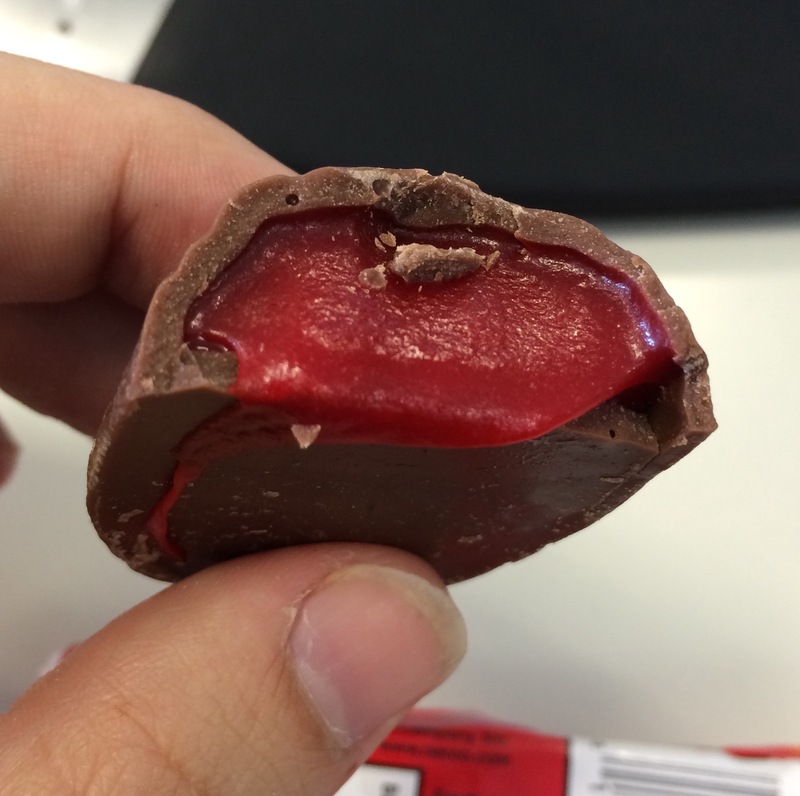 It was … well, it was ok. Something about the nougat was off, or perhaps it had to do with the caramel. It tasted almost figgish? Perhaps that was where they pulled the sweetness from, in lieu of the chemicals/high fructose corn syrup. It gets a ringing “I didn’t spit it out” endorsement. I did not notice the level of whip, but I did enjoy the story about Amy’s dad. He seems like a good guy. Probably not as good as my dad, but I bet they would have a good laugh over a malted milk ball. This is more like it. Boom. Some top-notch toffee. Thick, but easy to bite, with an appropriate amount of nuttiness. Just the right consistency, and a swell bit of butteriness. This was my favorite of the bunch. The only bar of these five with the distinction of also being vegan, the Cleo’s cups had me a little nervous. The thing about chocolate is that there’s dairy in there, so I was dubious over whether they could pull it off. Especially because they used the words “milk chocolatey”, insinuating that there would be some sort of milk chocolate facsimile happening around the peanut butter. My caution was not unfounded — there was definitely some notes of soy going on — but, on the whole, this bar was pretty tasty. What the chocolate lacked, the peanut butter more than made up for. It was thick, creamy and rich: a significant upgrade from the chalky peanut butter of a Reese’s. I think I still preferred the entire package of the latter, but Cleo’s did a nice job with this one. It also gets points for the Egypt theme, though I don’t really get why they decided to go with it. Indistinguishable from a good post-workout protein recovery bar. Which is only a good thing if you’re a post-workout protein recovery bar. It’s pretty easy to screw up caramel. Make it too runny, too salty, too chewy, too hard and it’s useless. This caramel is the spot-on perfect consistency, and couples well with the added pecans. Highly recommended.